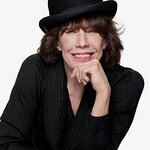 The Actors Fund will honor Emmy, Grammy and Tony Award winner Lily Tomlin with the Julie Harris Award for Artistic Achievement at the 23rd Annual Tony Awards Viewing Gala on Sunday, June 9, 2019 (3:30-9:00pm) at Skirball Cultural Center in Los Angeles. Celebrating Broadway’s Biggest Night in Los Angeles, the gala fundraiser will feature red carpet arrivals, cocktail hour, gala dinner, live performances, silent auction, and the West Coast’s exclusive live feed of the 2019 Tony Awards broadcast from New York City. Tickets are currently on sale here. Individual tickets are $300 (limit six per person) and tables of 10 start at $3500. The Julie Harris Award for Artistic Achievement has been presented in past years to Julie Harris, Gwen Verdon, Lauren Bacall, Charles Durning, Jason Alexander, Carol Channing, Tyne Daly, Rita Moreno, Stockard Channing, James Earl Jones, Liza Minnelli, Jerry Herman, Tommy Tune, Chita Rivera, Brian Stokes Mitchell, Hal Holbrook, Barbara Cook and Betty Buckley. The Tony Awards live broadcast is made possible with the kind permission of CBS, Tony Awards Productions, The American Theatre Wing, The Broadway League and DIRECTV. For sponsorship and ticket inquiries, please contact Chester McCurry, Director of Special Events, at cmccurry@actorsfund.org or 323-330-2428.